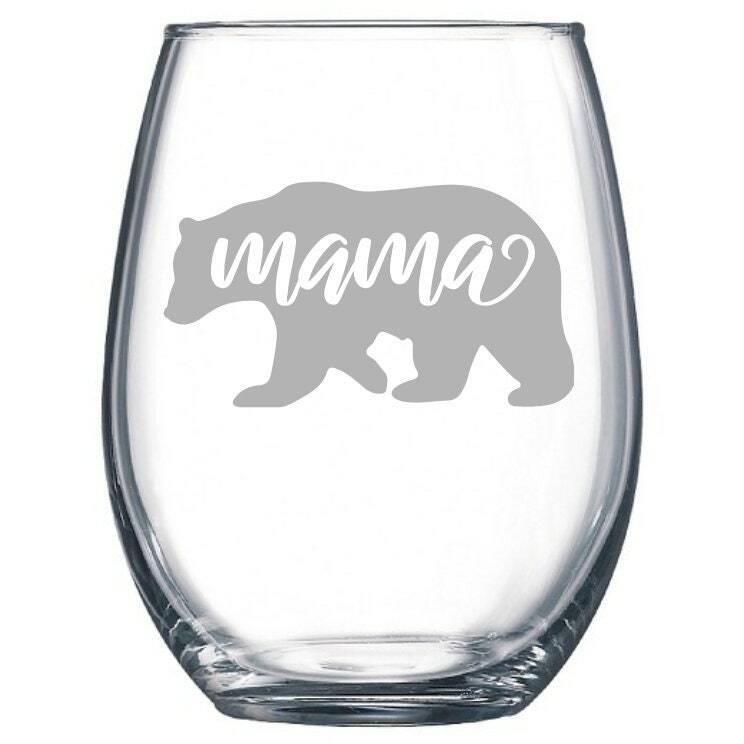 A 15 oz stemless wine glass made just for the Mama Bear in your life. These glasses make for a great all-purpose glass. These are suitable for wine, water, soda or any other drink you enjoy around the house. We etch each order in our small shop in upstate New York. 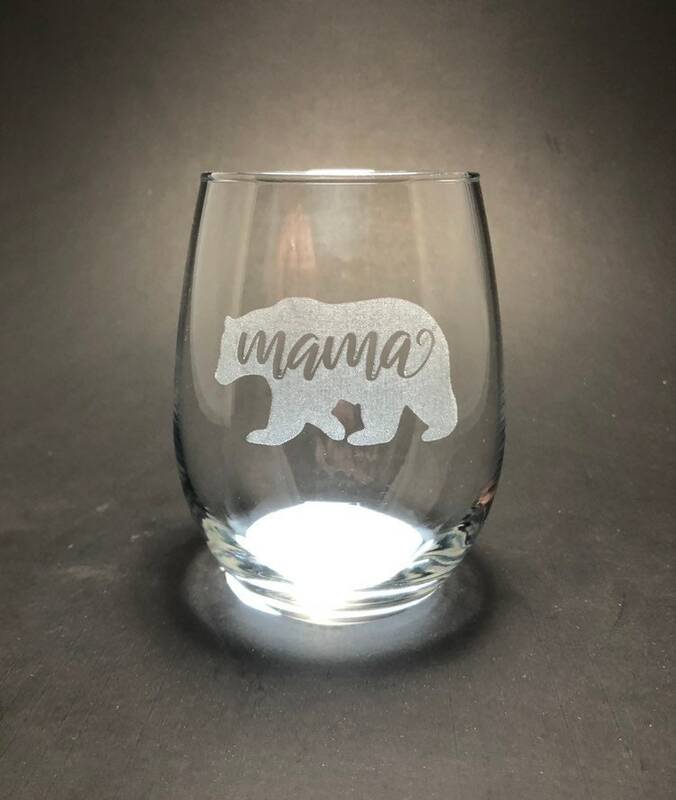 * Glass is made in the U.S.A.
Great gifts for many occasions. We welcome custom orders and ideas. Please feel free to send us a message. We'd be more than happy to see what we can come up with together!